Lewis Mitchell is a Co-Producer on Rhys Mitchell‘s exciting new documentary, Max Gimblett: Original Mind, which will be screening at this year’s Melbourne Documentary Film Festival. We had the chance to chat to Lewis about the film, and his experiences working in the world of independent cinema. 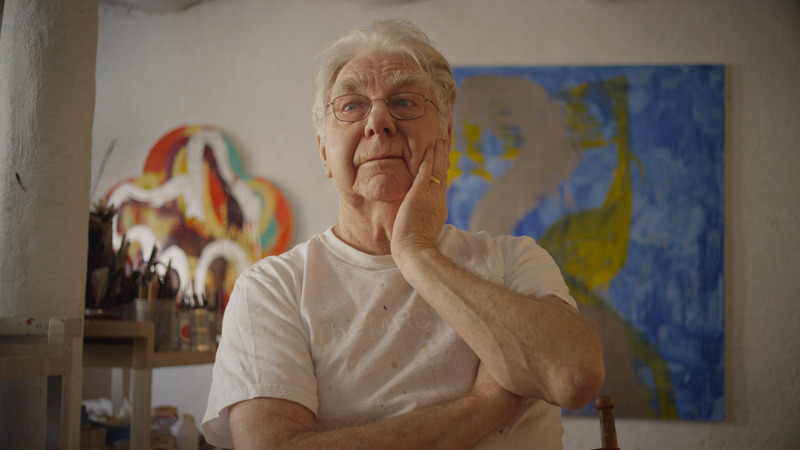 For the chance to check out Max Gimblett: Original Mind, and other fantastic documentary films, head over to the Melbourne Documentary Film Festival website to grab your tickets! I actually can’t remember. Growing up filmmaking just kind of felt inevitable for me. If only it still felt inevitable… at least the interest remains. I’m influenced by Hannah and Her Sisters by Woody Allen. I return to that film a lot. I’ve also started to see contemporary dance for inspiration. When it’s good it’s almost like watching a dream. Other art forms are great because you get inspired to be creative. A constructive break from your niche is a good way to recharge. The surprises that work to the benefit of the film are very enjoyable. There are surprises that work to the detriment also but they are likely cosmic punishment for your ineptitude or laziness and you know you had them coming. 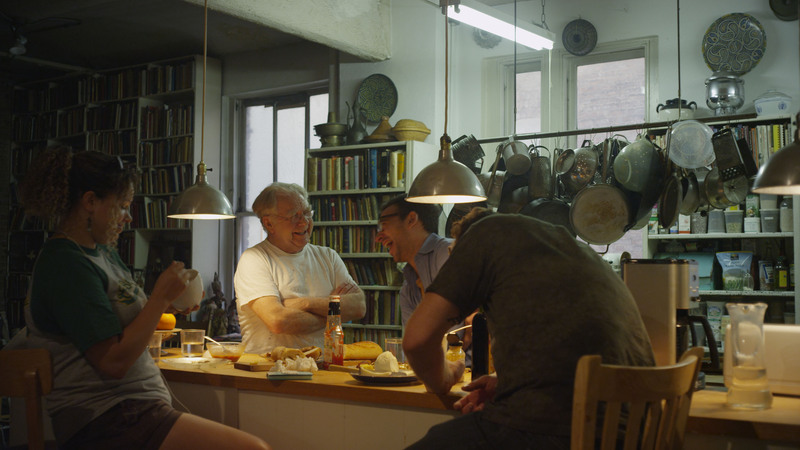 On Max Gimblett: Original Mind, we had just over a week to shoot in New York – so there’s jet lag. I had never used sound equipment before and yet I offered to be the sound recordist – Baptism by Fire. We stayed in a friend’s tiny apartment with an insane, inmate cat, that bit my hair every night – Allergies. It was a hard shoot. When it’s great it stays with you. I see short film making as a way into the walled city. That sounds transactional and cynical but you do to prove yourself. If anyone can reliably translate anything into film success let me know. I don’t use social media but there is a lot of narrative going on there… but usually only the ‘and they all lived happily ever after’ part. Social media is great for marketing. Vine was the closest thing to a story telling platform and it didn’t last. RIP Vine. 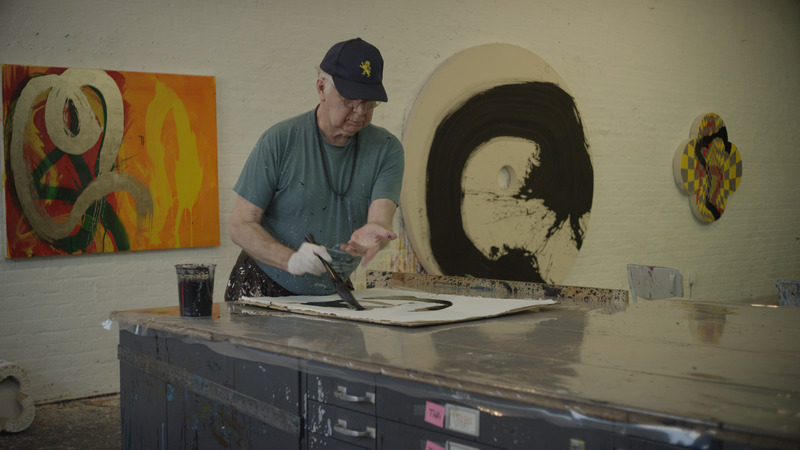 Max Gimblett: Original Mind follows artist Max Gimblett and his devoted studio assistants as they create a number of new works in his studio. My favourite element of the documentary is that it basically takes the form of a master class in painting, Zen philosophy and teaching more generally. Max is completely eccentric and inspirational and we’re proud to have made a documentary that does him justice. Hopefully another documentary. We’d love to find another artist of Max’s caliber that’s open to a week long invasion into their studio. Tall order. Build a crack team and make something.